The Vidya Lakshmi Portal Education Loan Scheme will assist the central government in providing credit to all deserving candidates who want to study in the Information Technology or other streams. Selecting any bank or getting the details of an educational credit scheme and in turn applying for the grant, with one single form will become easy for the candidates. Empowering and encouraging the students – With the assistance of the portal based scheme, the central government wants to provide monetary assistance to all the students who desire to acquire higher education but have financial constraints. Applying for loan and scholarship – The implementation of the portal is done to get either loan or government sponsored scholarships for meeting the monetary requirements for the academic course. Number of courses covered – With the assistance of the portal, the interested candidates will be able to get monetary assistance to pursue education under many courses. 70 different schemes will be covered under the scheme. One application form – The candidates will get the chance of opting for the specific credit or scholarship form by filling only one form. The Common Educational Loan Application Form or the CELAF is unique registration form. Maximum number of applications – Each student will apply to a maximum number of three banks with the assistance of the common application form. The choice of banks will depend on the preference of the candidate. Downloading the application – When the interested candidates makes any credit related application to one bank via this online portal, there is no need for the banks to get the hard copy of it. It can be simply downloaded and saved in the computer for future reference. Seeded with government grant portals – Apart from acquiring details about the banks and loan scheme, the students will also get information about the government scholarship programs. It is because the government scholarship portals are seeded with the Vidya Lakshmi Portal. Checking the status of the application – It is the responsibility of each bank to keep the applicants informed about the current status of the credit bid form. These details can be acquired by the respective applicant just by logging in. Getting the grievances registered – Apart from the above mentioned points, the candidates will be able to use the site and its special features to submit any doubts and problems, which they are facing. All applicants, who desire to acquire the scholarship or loan for pursuing higher education need to click on https://www.vidyalakshmi.co.in/Students/ and then click in the “Register” tab to get the CELAF. The CELAF is the one form that is standardized by all participating banks. The authorized link will give one access to the single all-inclusive application form. As soon as the tab is clicked, an application form will open up. The form will assist the students in opening an account on the portal. There for must be filled in with some basic details of the students. Once all the fields are filled, the captcha code must be typed in and then the “Submit” button must be clicked on. It will successfully register the details of the student and open an account on the portal. Then the candidate will be given an ID and a unique password. These two will assist the candidate in opening the loan application form and logging on to the portal in the future. After the registration of the accounts is done, the candidate will be able to click on appropriate links and search for the loan scheme that will meet his/her requirements in the best manner. The filling of the Common Education Loan Application will not only assist the candidates in acquiring the credit but by filling this one registration document, all banks, will respond immediately as the registration document has a standard format. As of now, around 13 public and private financial institutions have also applied and registered to be a part of the special education loan based portal. The central government has also announced that loan for 22 courses have been included in the scheme. To get the names of all the banks, which have registered with the portal, you need to click on the link https://www.vidyalakshmi.co.in/Students/. The following banks have joined the portal so far: SBI, Bank of India, IDBI, Union Bank of India, Punjab National Bank, Canara Bank, Punjab and Sindh Bank, Vijaya Bank, Central Bank of India, Corporation Bank, Oriental Bank of Commerce, Dena Bank and Kotak Mahindra Bank. Apart from acquiring info about state headed scheme, the portal will assist any interested candidate in opting for the Union Government scholarships or credit schemes will get details on this portal. The emergence of an all-inclusive online locale will come to the rescue of the students and provide speedy completion of the entire procedure. Higher education in India is a costly affair. Many parents are not financially sound to support their wards for college or university education. The central government has come up a solution. The Finance Ministry, Higher Education Department and Indian Banks Association came together under the Vidya Lakshmi Scheme to offer interested and deserving candidates with education loan. 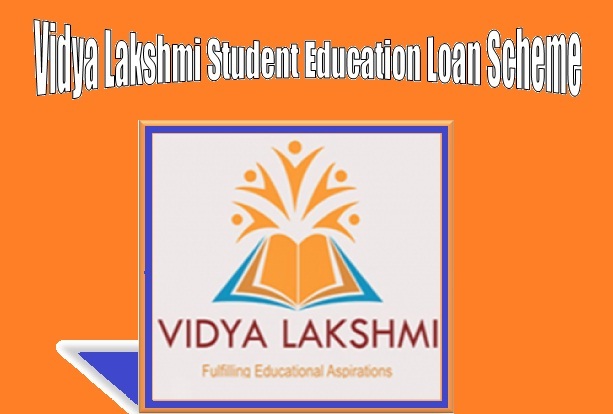 Candidates can log on to Vidya Lakshmi Portal to apply for these loan schemes. Recently, Karnataka Bank has joined this portal and is thereby offering interested candidates with educational credit packages at low rates. With proper financial assistance, candidates will not have to worry about meeting their educational expenses.